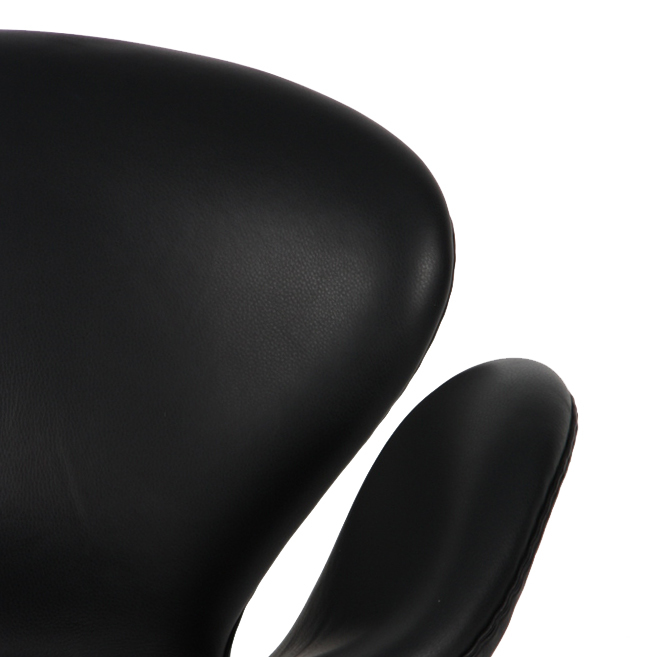 MMXV - 58, SWAN JACOBSEN CHAIR, LEATHER BLACK - The original Swan™ Chair made by Fritz Hansen in Denmark. 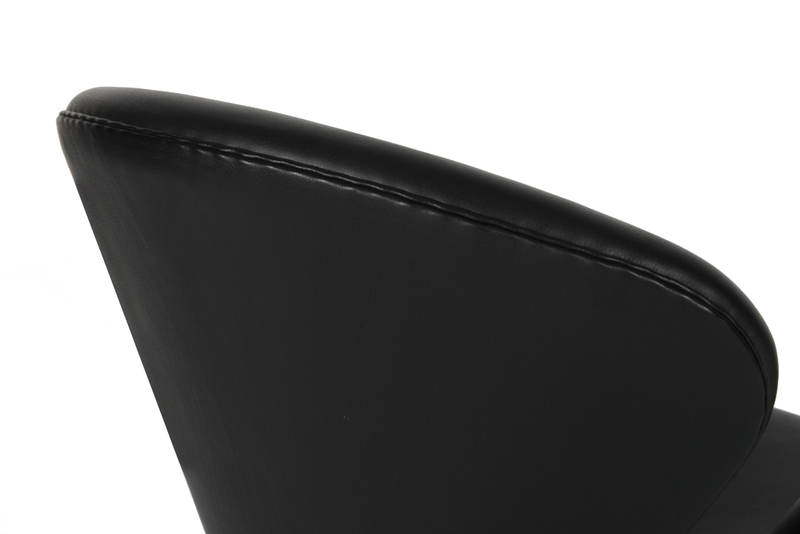 Upholstered in Classic Black Leather. Arne Jacobsen Swan Chair: Naturally Modern™. The Swan Chair was designed by Danish designer Arne Jacobsen in 1958. The legendary Swan Chair is an icon of Danish modern furniture design. Its sinuous curves and comfortable design have made it a consistent favorite ever since it was first introduced. The Swan Chair adapts naturally to virtually every body; it is a comfortable modern chair with great style. 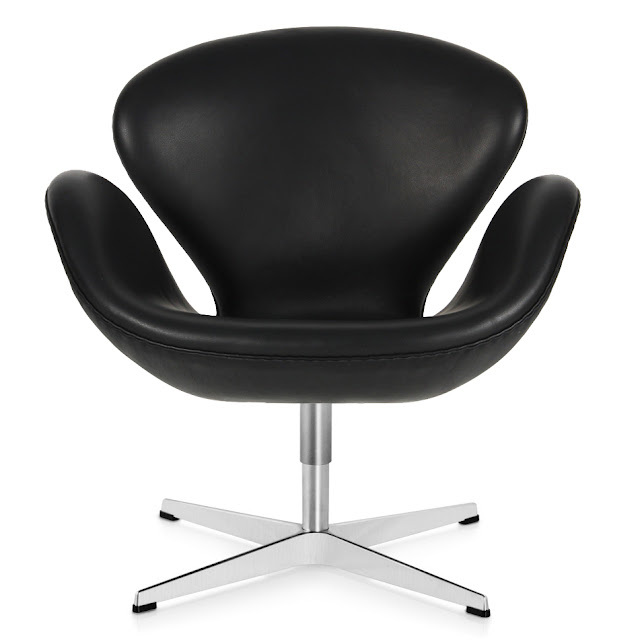 The quintessential modern classic, the Swan Chair by Arne Jacobsen is perfectly suited for any interior and any taste. 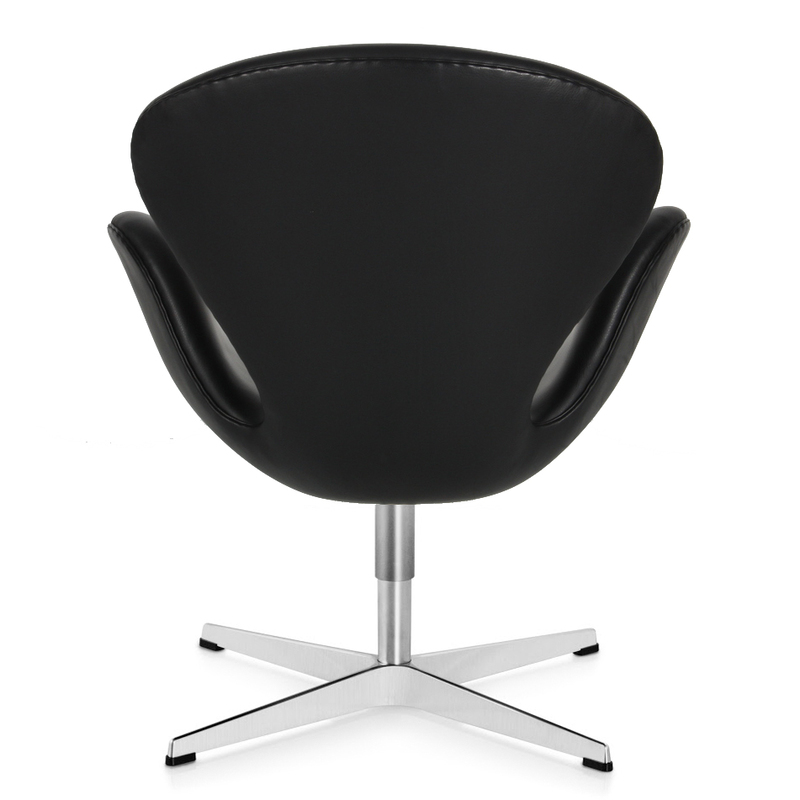 Purchase the authentic Fritz Hansen Swan Chair from Stardust and receive free shipping and delivery! Stardust offers the authentic Arne Jacobsen Swan Chair custom-made for you by Fritz Hansen in Denmark. Each Swan Chair has an identification number on its base and is accompanied with a numbered certificate. 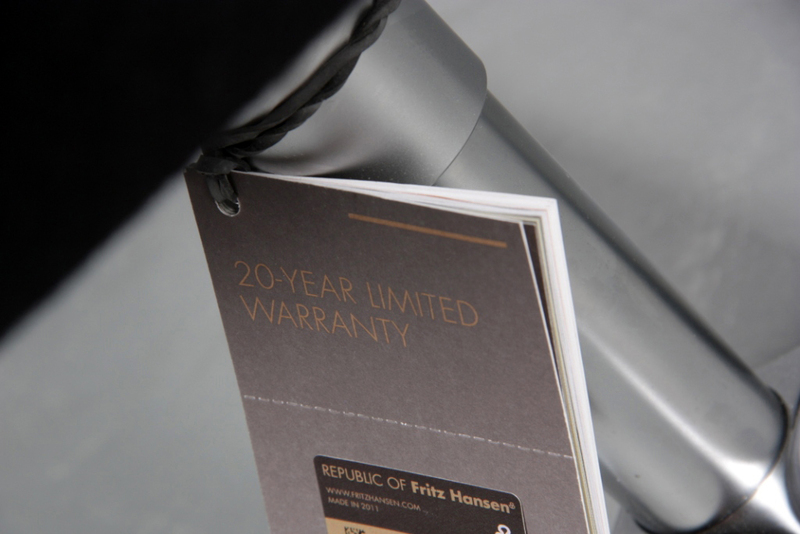 Stardust offers this chair with a 20 years limited warranty through Fritz Hansen as well as a number of attractive benefits.